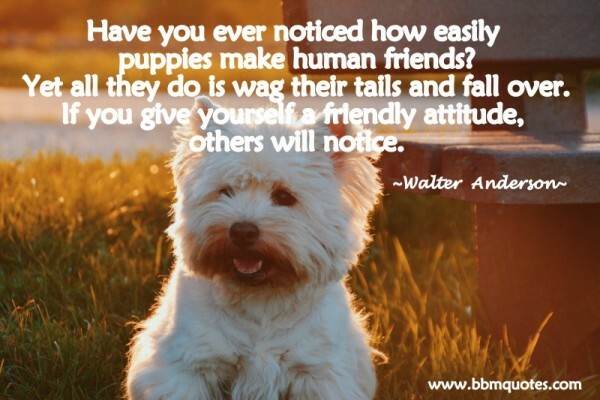 Walter Anderson | Have you ever noticed how easily puppies make human friends? Yet all they do is wag their tails and fall over. If you give yourself a friendly attitude, others will notice.